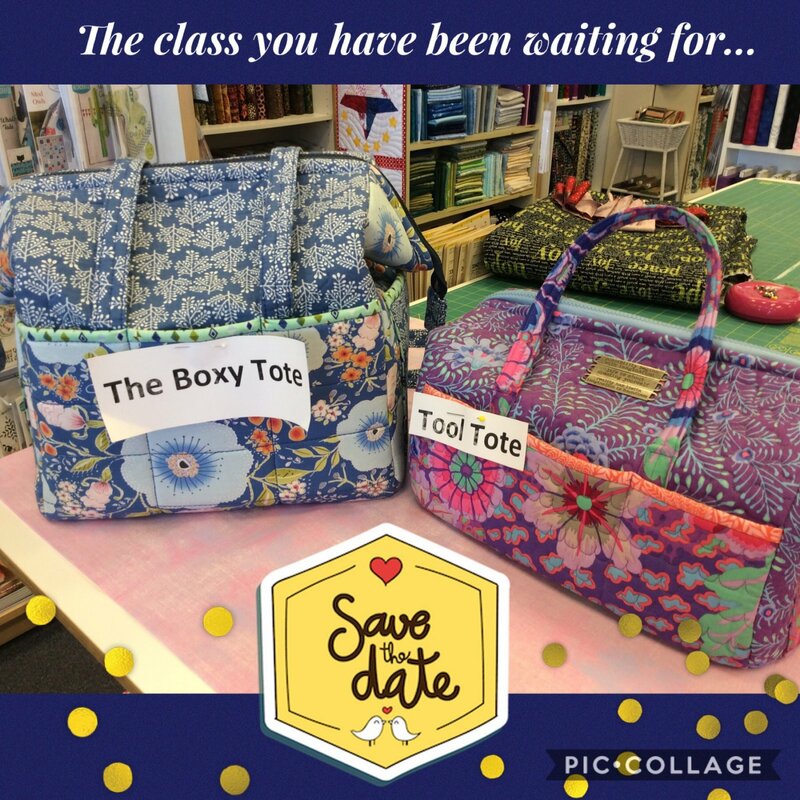 These bags are so popular and fun to make! Pockets all the way around the outside, pockets all the way around on the inside! Heavy duty stays that keep the bags mouth wide open, easy to get in and reach all your important tools. You can make this in the Tool Tote style or the Boxy Tote style! We will help with both! Offering embroidery designs to be purchased online.